We pride ourselves on quality and offering the best selection of beer, wine, spirits, tobacco and food with unmatched convenience and value. 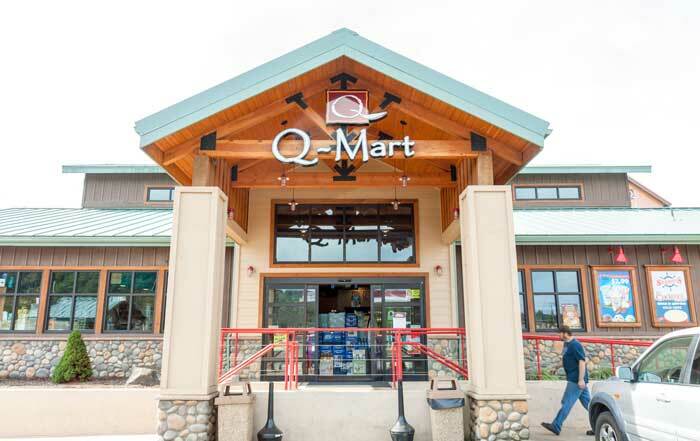 Whether you’re out to see the great outdoors in the wild Olympic Peninsula, or just spend a relaxing weekend with your friends and family, Q-Mart has what you need to make the best of your time. From convenient fuel, food and snacks, a wide selection of beer, wine and liquor to the area’s best prices on cigars and cigarettes, you’ll spend less time searching and more time enjoying. Convenient will never mean that we cut corners. We make our fresh salads and sandwiches right here, in our store. We’re known throughout the region for our unmatched selection of tobacco products, snacks, beer, wine and liquor, all at an incredible value.